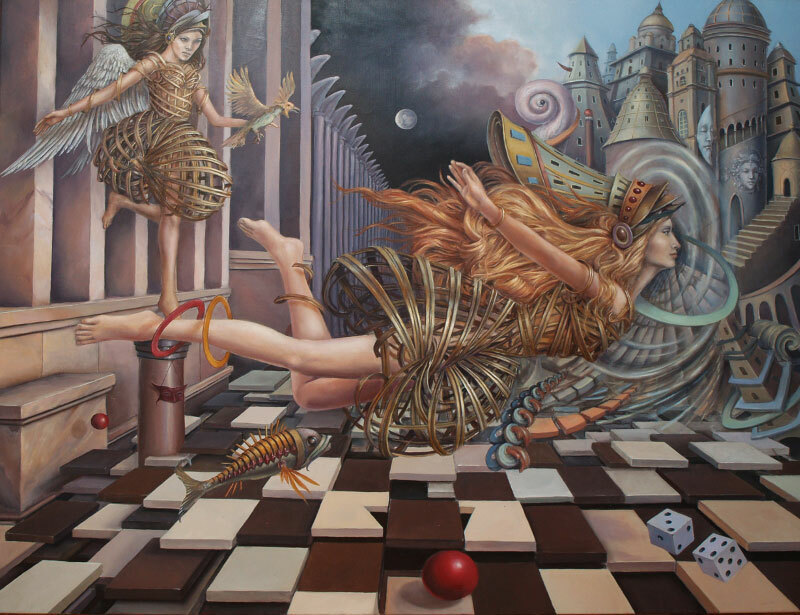 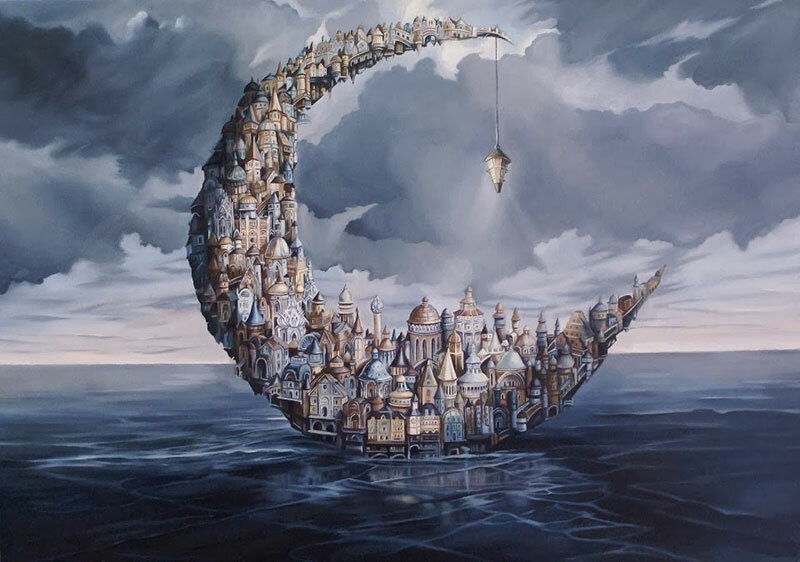 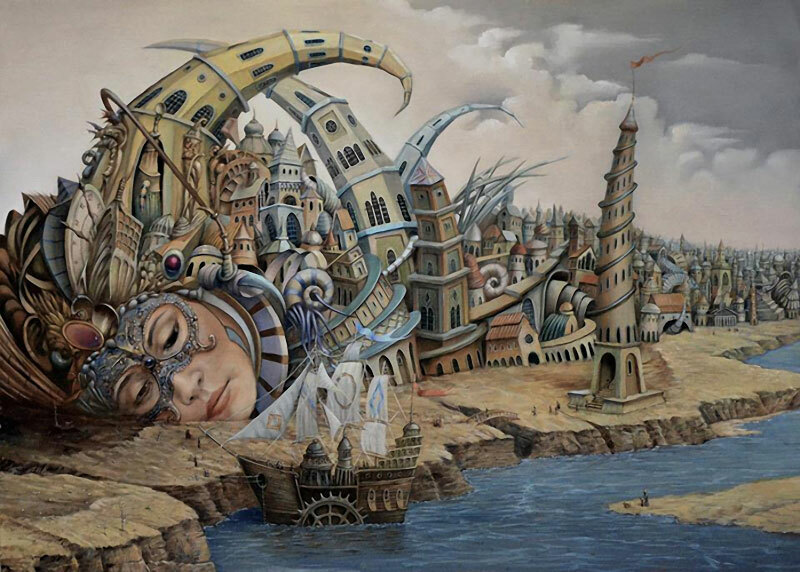 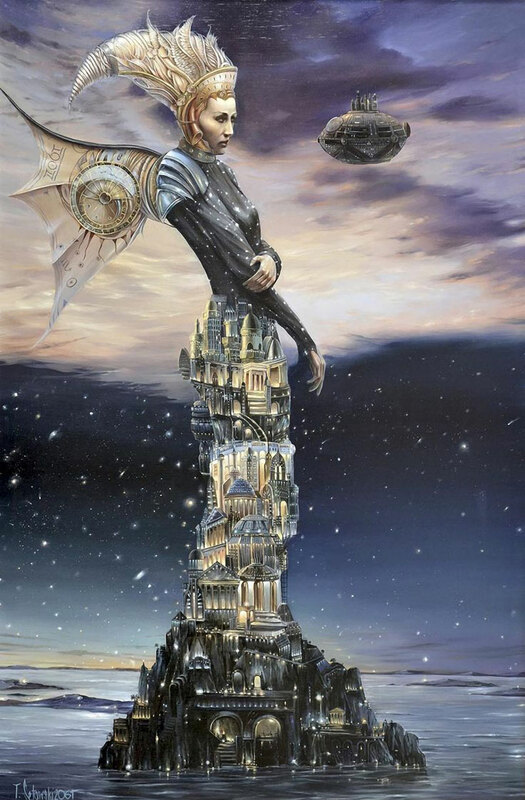 Polish artist Tomek Setowski's paintings are filled with fairytale characters, sky cities, underwater worlds and manifestations of his dreams. 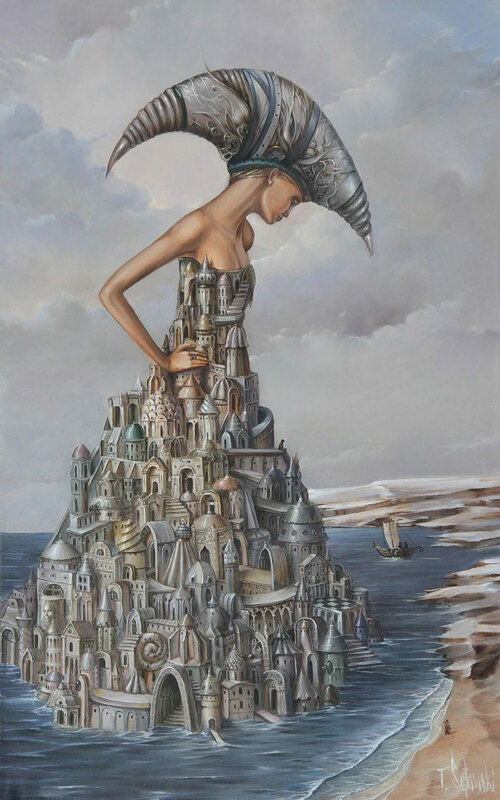 Known for a unique style called Magical Realism, his fantastical works are clearly influenced by Italian painting and architecture but are closer to Hieronymus Bosch than Salvador Dali with its dizzying array of distinct elements such as hill towns blending with the human form. 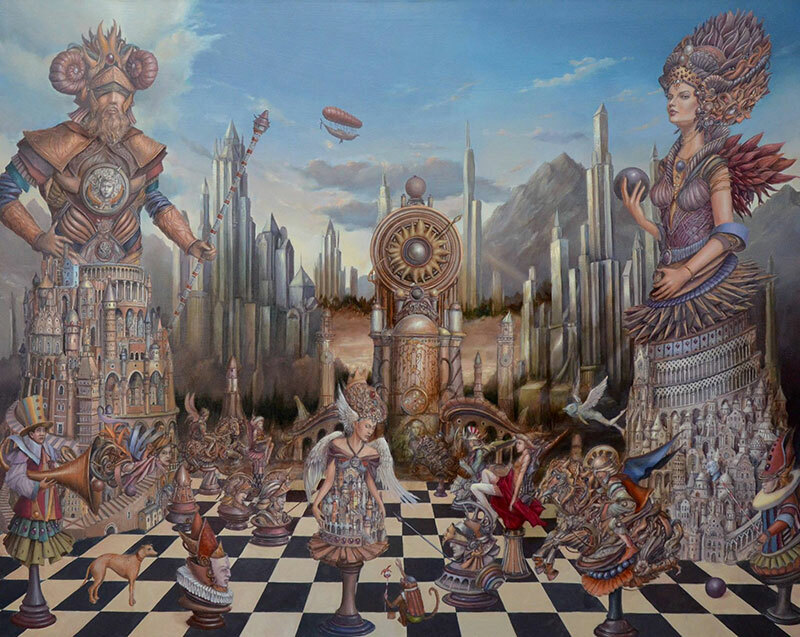 Not too many artists practice this style as it requires an extraordinary imagination and a faultless technique. 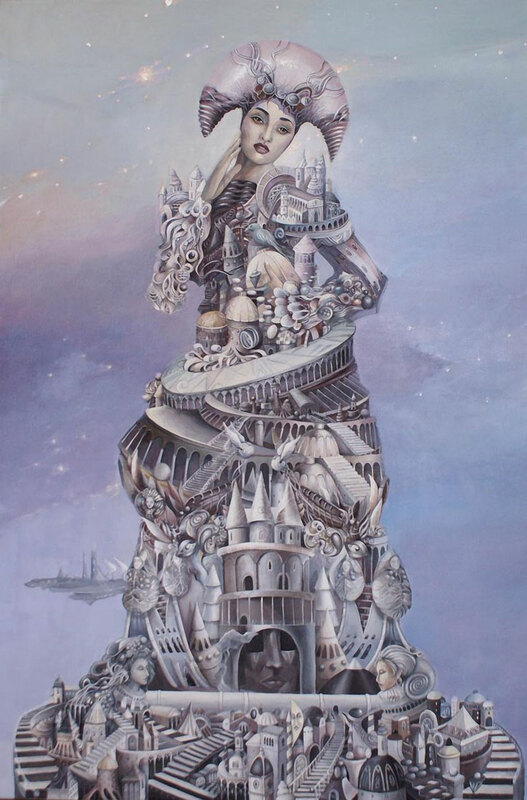 Making up monumental compositions is an attempt to exist in the world of imagination, away from the daily life. 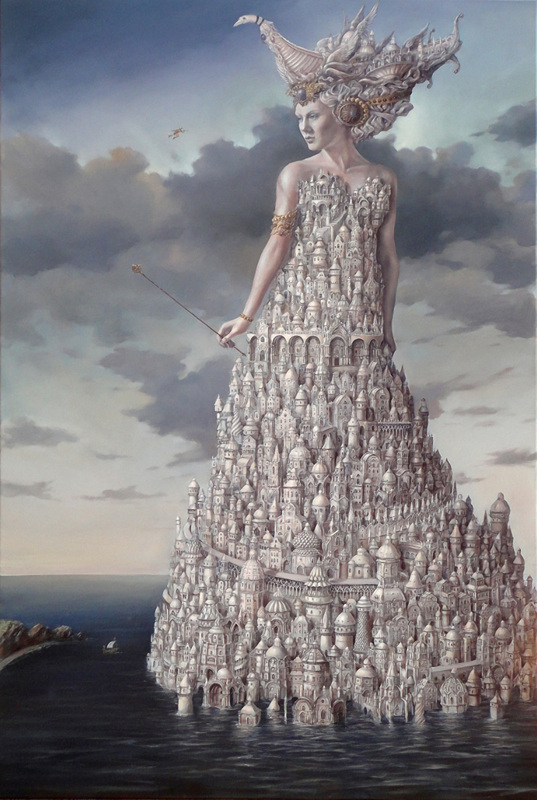 The choice I have made in my life seems appropriate to me—painting comes easy to me, but it is difficult for me to part with a painting. 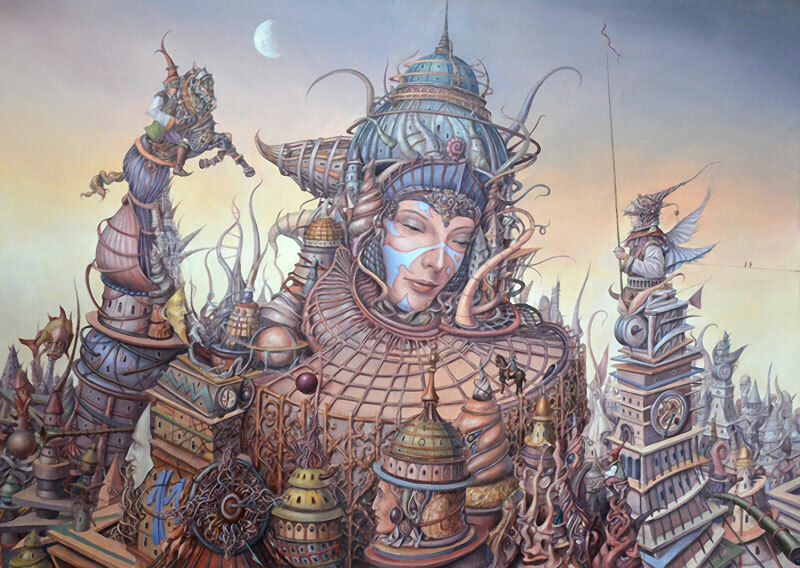 Polish artist Tomek Setowski's paintings are filled with fairytale characters, sky cities, underwater worlds and manifestations of his dreams.